Welcome To BinarySites.com – Built by industry veterans with over a decade of experience, BinarySites.com serves as a one stop shop for the top 10 binary options brokers, trading signals and binary bots. My honest reviews cover what you need to know about trading binary options today. Compare the top rated brokers in the binary industry below. There are hundres of brokers, trading signals and trading robots out there. The range of quality goes from exceptional to down right horrible. Even down to full out scam. My main goal is to help you find the right binary option broker for you. I will help you find the best place to trade, make informed decisions on the latest tools and money making software and keep you up to date on the latest in the market. To get started, use my top 10 list below. Click through to read our honest reviews and visit the brokers official website. The key to finding the right broker for you is to find one that focuses on the things that are most important to you. Below are links to content and top lists based on the category of broker you are looking for. Trading Binary Options – Making Money Possible? It is possible to make money trading binary options. They are EASY to actually trade. They are not so easy to actually win on a consistent basis. The reason for this is that the broker has a built in edge. That is where they make their profit. For example at 24option you can get an 89% return on a winning trade. But that 11% difference to a full 100% is where the broker makes their money. You are making a trade but when you win you win a little bet less than what you lose if you lose the trade. Short answer: Know what you are getting into and never deposit more than you can afford to lose..
Binary options trading is risky and the binary sites themselves are more than happy to take your action. Risk and reward. Yes, you can make a lot of money very fast… Some traders specialize in the 60 second options which is about as fast as you can get, but you have to risk money to do so. If you are not okay with the risk then you should not trade. Only Trade At Top Rated Brokers – I can not stress this enough to potential traders. 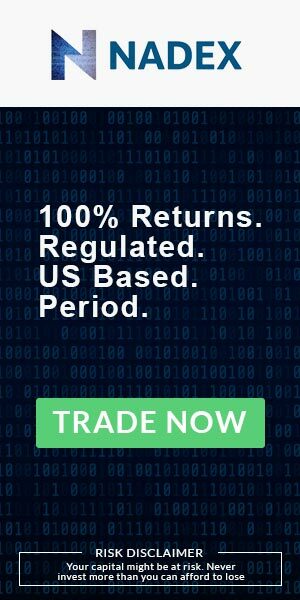 You 100% absolutely must trade at only the legit, honest and reputable brokers. It is difficult enough to earn money with your trades. It is even more difficult if you are trying to do so with a less than honest broker. Beware of Bonuses – They come with strings attached. They require you to trade certain volumes before being eligible to withdraw any money (even the amount you first deposited). A large percentage of people who flock to the internet claiming they were scammed were actually just “sold” on a deposit bonus that they did not fully understand. There is no free money. Yes there is binary option bonus money but you have to earn it. Start Slow – Deposit Only What You Can Afford To Lose – I repeat only deposit what you can afford to lose. Most binary options traders end up losing money in the long run. Sure over the short time period some traders make a ton of cash but these are the exception and not the norm. Go into this with your eyes wide open, know what you are getting into and I wish you the best of luck on your trades! To get started, just create an account at a broker of your choice from our above lists and make a deposit you are comfortable with. You can begin trading binary options in minutes. The markets are open somewhere around the world 6 days per week and binary options are always trading.